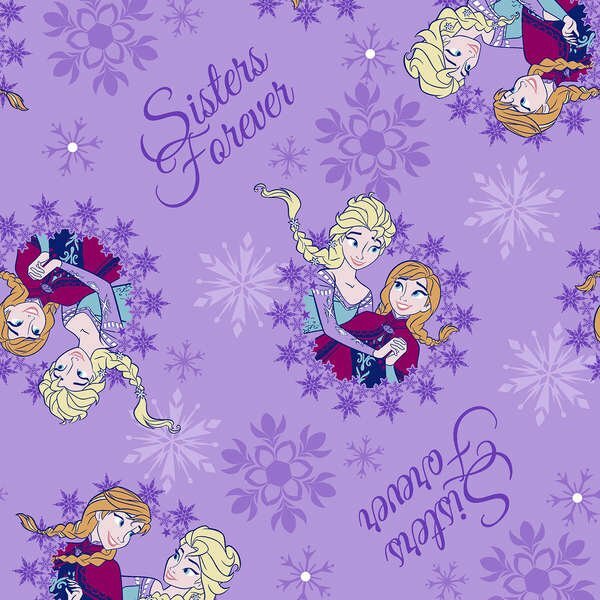 Tossed Elsa and Ana on a purple background. 100% cotton. 44" wide.